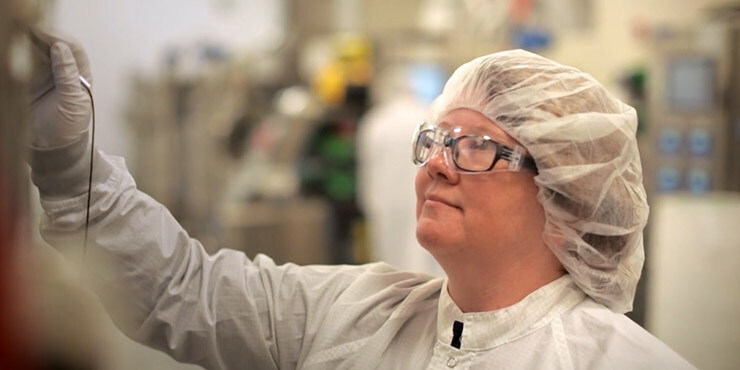 BioMarin’s Technical Operations group (TOPS) is responsible for creating our drugs for use in clinical trials and for scaling production of those drugs for the commercial market. These engineers, technicians, scientists and support staff build and maintain BioMarin’s cutting-edge manufacturing processes and sites, provide quality assurance and quality control to ensure we meet regulatory standards, and procure the needed goods and services to support manufacturing and coordinating the worldwide movement of our drugs to patients. Come join our team and make a meaningful impact on patients’ lives. Reporting into the Director of Business Operations at Shanbally, the Business Excellence Lead will be expected to relentlessly drive the business forward while simultaneously increasing their own technical capability through training and experience as well as the capability of others. They will lead the achievement and sustainment of performance excellence, primarily through the use of lean and six sigma methodologies. Serve as a facilitator of continuous improvement implementation and colleague involvement to create and sustain culture change to achieve long-term business strategy. Deploy appropriate solutions to key business processes on site, typically through lean, reengineering or Six Sigma. Support the ‘on the ground’ implementation of lean solutions on site to help maximize overall site performance. Continuously challenge the status quo in terms of performance and process on site. Attain qualification up to Lean Master or Master Black belt in a defined period. Coach Lean, Reengineering and/or Six Sigma projects as required by the business. Expected to complete projects as well as coaching of same. Provide business relevant training as required for lean and/or six sigma. Become proficient with RCAR’s and may be expected to manage the program. Manage the collection and reporting of metrics as required by the site. Participate actively in regular staff and strategy meetings to agree priorities and tactics. Proactively work with BPE in Novato to maintain alignment and share best practices. General maintenance of alignment in methodology, procedure and governance within TOPs. Cognitive capability– Ability to learn quickly and to be able to share those learnings to wider colleagues in a way that is understandable. Collaborative Leadership- Ability to influence with or without authority, facilitate groups with diverse perspectives, bring teams to consensus/alignment. High tolerance for ambiguity and able to create order from chaos. Builds credibility through solid relationships and solid track record of results. Communication- Ability to communicate effectively up and down, at all levels of the organization, present complex and/or new ideas with clarity and simplicity. Ability to draft and deliver clear and concise procedures or business process documents. Planning/Organization- Excellent planning and prioritization skills with the ability to multitask and adapt. Able to synthesize large amounts of information. Able to deliver results despite shifting environment. Analytical Problem Solving– Ability to identify problems, define problem statement clearly and accurately and apply structured and disciplined methodology to identify data-driven root causes. Innovative and effective in solution development, risk mitigation, and execution. Science, Engineering or Business background preferred but not essential. Formal Lean, Reengineering and/or Six Sigma training preferred but not essential. Must have a demonstrated track record in driving performance through self and others by inventively harnessing surrounding (albeit often) constrained resources. A demonstrated track record in working with people, understanding customer/client dynamics and driving positive change. Minimum 5 years of experience in industry. Sound knowledge of cGMPs and equivalent industry regulations. Knowledge and previous work experience with process mapping, Lean Six Sigma and Business Process Reengineering would be preferable. Knowledge of performance measurement tools and metrics.